A drug dealer has been jailed for eight months. Corey Paul Gould, 20, and currently of HMP Forest Bank was found to be hiding cannabis, along with a ticklist of customers, at his home in Butler’s Meadow in Warton, Preston’s Sessions House Court was told. Prosecuting, Lisa Worsley said police had attended his home as a result of intelligence on February 20 at around 1.40pm. She said: “With the permission of the female householder, the defendant’s mother, officers searched the bedroom. PC Jones was the searching officer and she immediately noticed the remains of cannabis on the floor. “From an Adidas shoulder bag she recovered what she believed to be cannabis. “She also recovered a piece of paper with names and numbers on it. The cannabis equated to a street value of £530 the court was told. 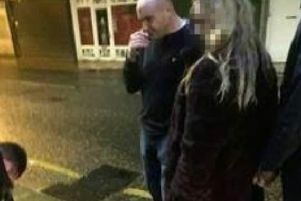 Gould’s phone was seized and analysed with incriminating messages and texts revealing his commercial selling of cannabis, referred to by his customers as “bud”. He admitted possessing a class B drug with intent to supply. He made a forfeiture order for the illicit drugs, which will be destroyed.